This past Shabbat was a quiet one and a very enjoyable one given the wines I had to taste. The meal was a simple and quiet one; with black bean soup, and for the main course – my meatballs recipe, quinoa, roasted veges, and green salad. For the wines I enjoyed two wines that are not publicly available yet, though one will be soon. The Cabernet Franc was the soon-to-be released CF from Four Gates Winery, though this one was sourced from another location than his usually vaunted vineyards. The wine is very unique and very mineral based and a true joy, but I will wait for Benyo to talk about it before I say more. The other wine was from a young man who I watched grow up in my midst – here in San Jose, CA. His name is Joshua A. Rynderman and his story is a unique one at that. When we first moved into this community more than 20 years ago, the Rynderman family was already here and they were, and are still, a pillar of the community. Young Joshua at that time was far too young for me to gauge where or how his interests would take him. Sadly, the 2000s came around and with it the horrific decimation of human and real capital in Silicon Valley. Many companies shuttered their doors, and sadly the Ryndermans, and others, moved east for a myriad of reasons. Fast forward to some few years ago, and the pull of the Silicon Valley has once again reached into the far crevices of America and the Rynderman family has once again gone west – and the San Jose community is once again blessed by their presence. In their return to the Bay Area, we were once again reunited with their family, who was not a bunch of young children any longer, but rather a group of young men and a lady each showing strengths with their interests. Unbeknownst to us, during their departure – Michel had inculcated the love for all good things to his family, including art (his wife is a world-renowned artist), food, and wine. 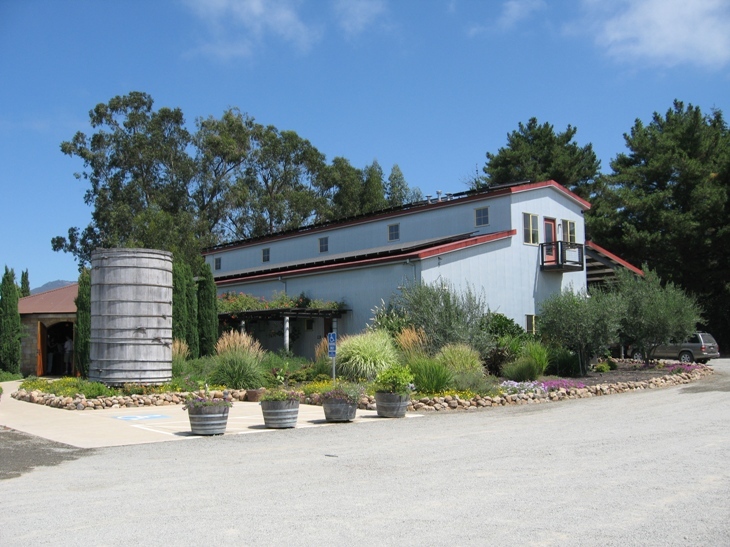 While Michel was part of this community he was affected by the many wine makers that were and are still part of this community; including the then owner of Gan Eden Winery – Craig Winchell, the afore-mentioned Four Gates Winery owner and winemaker – Benyamin Cantz, and Ernie Weir’s Hagafen Wines. Well, the OTBN of last week flowed right into Purim this year and that meant there as a lot of wine consumed over a short period of time. That is all fine with me, but it took some time to get this down is all. Though I will be very short this time, I did want to highlight a few wines that surprised me on the good and the bad. The 2011 Hagafen Cabernet Sauvignon opened nicely, but then turned on me very hard – not quite dates, but far too sweet and unbalanced for my liking. The 2010 Carmel Cabernet Franc, while showing nicely in Israel, and lush here was fine for the first few hours, but then went straight to date juice. This was the Israeli label I hand carried back home, so I do not think this wine is long for cellaring – but nice out of the bottle. Finally, the 2013 Dalton Viognier is ready to go. Last year the wine was tight and closed, and needed a real decanting to bring it to life. That is not needed any longer! It is delightful from the bottle and I think has three or so years left in the tank, but it is clearly ready and very close to peak, if not there already. All I can say – IT IS BACK!!! Thank goodness for that! It has been too long without a GREAT kosher Viognier option. The 2012 was a nice wine, but it paled in comparison to the 2007-9 vintages. The 2013 is CRUSHING in comparison and is the best kosher Viognier I have ever tasted, so BRAVO! The last time we had this wine it needed air galore, that is not the case anymore. Beyond that, there is not much that has changed about this wine! The wine continues it heritage of wild yeast fermentation and was aged in French oak for four months. The nose on this wine shows beautiful notes of ripe melon, pear, peach, along with crazy floral notes of violet and rose. The mouth on this full bodied wine is oily and textured with layers of honeyed notes of peach and apricot, spiced melon, mango, crazy acid and intense concentration of ripe summer fruits, all balanced with bracing acidity, bitter notes, and sweet oak. The finish is long and intensely spicy with saline, mineral, slate, white pepper and hints of vanilla and lovely bakers spices. BRAVO on many levels!!!!! The nose on this mevushal purple colored wine explodes with ripe blueberry, dark cherry, ripe raspberry, licorice, and lovely spice, with a hint of roasted meat and smokiness which leaves soon enough for more crazy spices and ripe fruit. The mouth on this full bodied, ripe, round wine is expressive with sweet fruit, blackberry, ripe strawberry, plum, more blue fruit, along with sweet cedar, and mouth coating tannin that lingers and makes the mouth feel ripe, sweet, and round. The finish is long and spicy with nice vanilla, cinnamon, chocolate mocha, black pepper, cloves, nutmeg, and mint. This wine is slowing down – so DRINK UP!!! WHAT a nose fresh squeezed strawberry, rose hips, raspberry, and peach. The mouth on this Syrah rose, is viscous, medium weight, and lovely, with great acid, lovely mineral, and awesome fruit. The strawberry explodes with kiwi, guava, currant, quince, cranberry, and orange marmalade. The finish is long and spicy and bitter with hints of herb, orange pith, saline, mineral, and slate – BRAVO!!!! Sadly I kept this too long. This bottle felt thin and dying, still had great acid and spice, with OK fruit. Drink up!!! The nose on this purple colored wine is rich with prefume of blackberry, lovely black fruit, hints of blueberry, nice anise, and dirt. The medium body is tinged with mad acid and mineral, along with a lovely mouth coating tannin that gives the wine body, along with great acid and mad graphite, cassis, CRAZY kirsch black cherry, and green foliage. The finish is long and green with bright fruit, leather, chocolate, vanilla, and lovely sweet dill and tobacco leaves. Very nice. With time, an hour or two, this wine breaks down very quickly. I would be careful. Vineyards is essentially the Appellations label and a lovely CF it is. This is the Israeli label, the US label continues with the appellations label and animals. This wine is blend of 85% Cab Franc, 10% Cabernet, and 5% Petit Verdot. The nose on this wine is rich and lovely with raspberry, dark cherry, plum, sweet cedar green herb, and foliage. The mouth on this medium to full bodied wine is rich and unctuous with mad green bell pepper, tart juicy raspberry, mad tobacco, and lovely mouth coating tannin. The finish is long and green, with sweet herb, firm tannin and more tobacco. I did like this wine from the start, but after an hour or two it went straight to dates, this is not a wine for long cellaring – and this was the Israeli label.